Using preventive dentistry, we can stop many dental problems before they even begin so you can avoid the need for more complicated and costly treatments down the line. With just two easy appointments each year, we can significantly lower your chances of developing tooth decay, cavities, gum disease, and much more. These services will keep your smile looking and feeling great year after year so the next time you laugh, eat, or show off your smile, your teeth will be the absolute last thing on your mind. To schedule your next preventive appointment, contact us today. 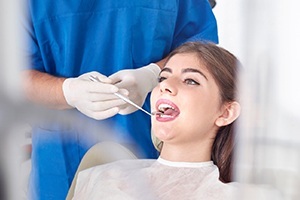 Checkups and cleanings are two of the simplest and most effective ways we can safeguard your long-term oral health and appearance at the same time. First, Dr. Conklin or Dr. Ward will examine your teeth using advanced imaging technology. This will allow them to spot any issues you might have early so they can take care of them well before they have a chance to harm your smile. Then, with a professional cleaning, one of our skilled hygienists will use sophisticated tools to remove any and all plaque and tartar located on your teeth and gums, specifically targeting those areas you can’t reach at home. We absolutely love helping Towson’s littlest smiles stay healthy and strong right from the very beginning! 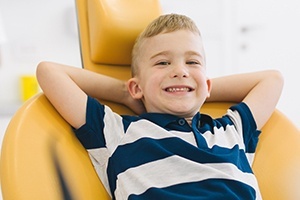 Early-age dental appointments give our team the chance to make sure your child’s smile is developing correctly and intervene with any problems we might discover. 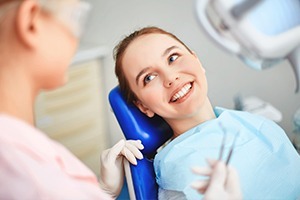 We’ll also go out of our way to make sure they always have fun and relaxing visits so they quickly establish a positive connection with going to the dentist and dental care in general. A dental sealant is a clear, thin layer of a plastic-based substance that we can apply to the teeth in order to protect them from plaque and food particles that can lead to cavities. We usually place them on the difficult to clean back teeth, and they are especially effective for young children who are still learning how to brush. They only take minutes to apply, and they can provide years of cavity-protection afterward. Bruxism is very common for people who experience high stress, and it refers to unconscious teeth grinding and jaw clenching that occurs during sleep. Left untreated, this can severely wear down the teeth, causing them to become more sensitive and even crack over time. If this is a problem for you, we may recommend that you wear a nightguard to bed each night. 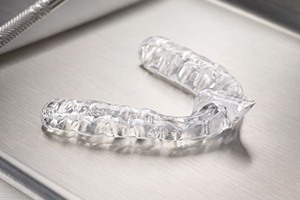 This custom-made mouthpiece will place a firm but comfortable barrier between your teeth so they are unable to grind together during the night. Oral cancer is an often-fatal disease that is actually very treatable when detected early, which is exactly why our hygienists preform these at every patient visit. Oral cancer claims the lives of nearly 10,000 people each year, and we feel it is our ethical responsibility to always pay attention to the warning signs and keep you informed, It only takes a couple of minutes, but it could literally be the thing that saves your life. 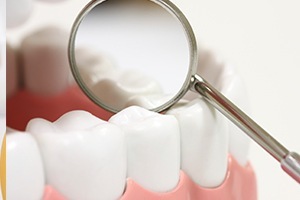 If your hygienist finds anything that causes concern, they will let you know exactly what to do next. You’ll find fluoride in most toothpastes and public water sources because it’s an excellent, natural way to strengthen the teeth against tooth decay and cavities. 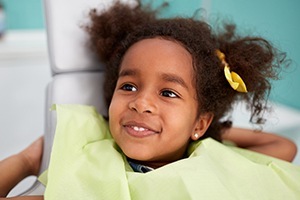 To give you and your family’s teeth a little bit of extra protection between appointments, we can provide a topical fluoride treatment as part of your regular checkups. They’re fast, easy, and one of the best ways we can keep your smile shining year after year.